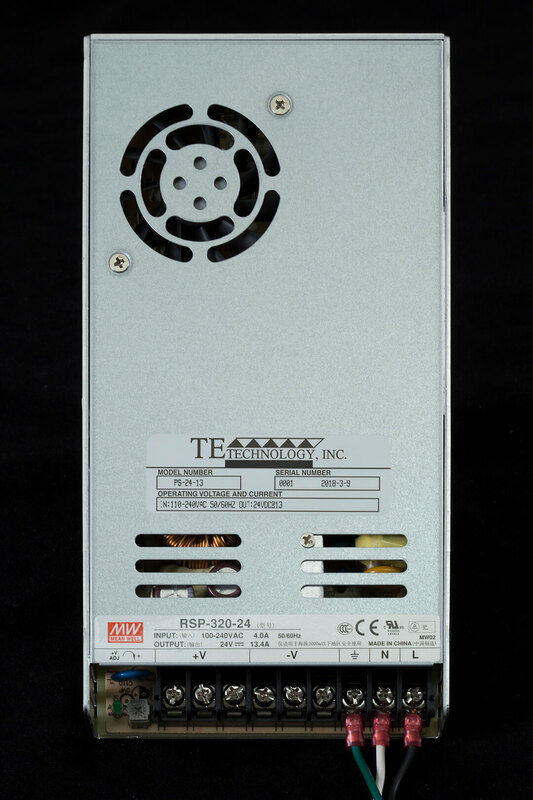 A 24 volt DC, fixed-voltage power supply capable of delivering up to 13 amps of current. 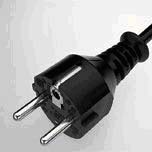 One North-American standard power cord is supplied attached to the power supply, and power cords for the UK, EU, and Italy can be purchased separately. 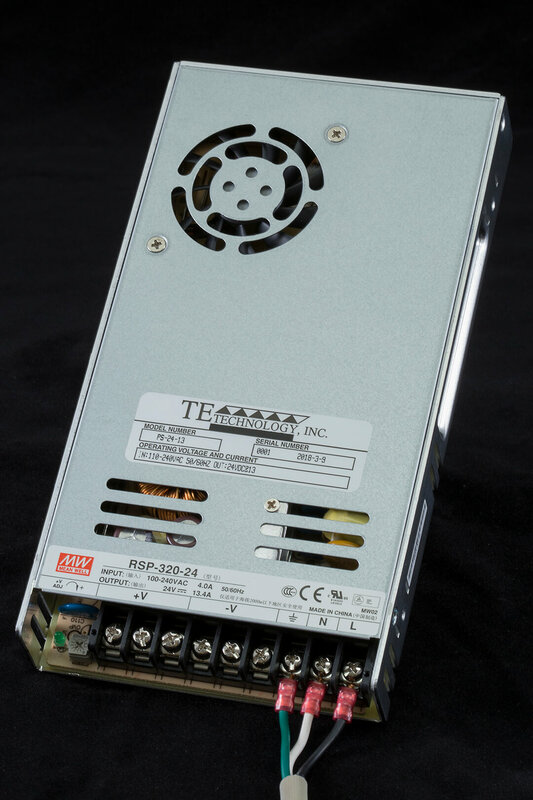 The power supply features a wide input voltage range; no manual selection necessary. 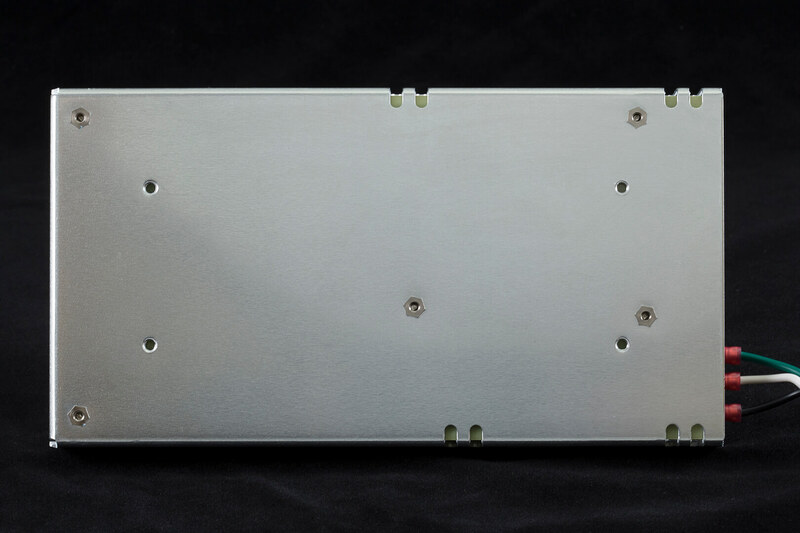 When ordered in conjunction TE Technology coolers and temperature controllers interconnection cables are included free of charge. 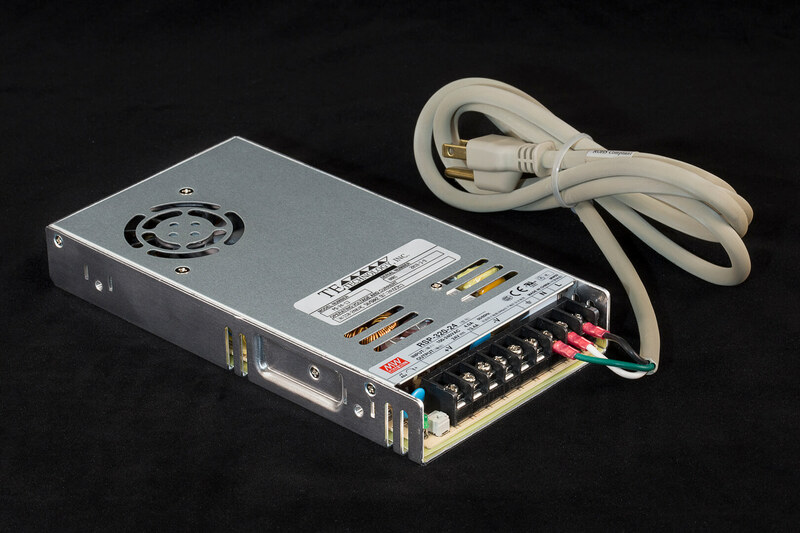 A 24 volt DC, fixed-voltage power supply capable of delivering up to 13 amps of current. Power supply is pictured with the included power cord attached. 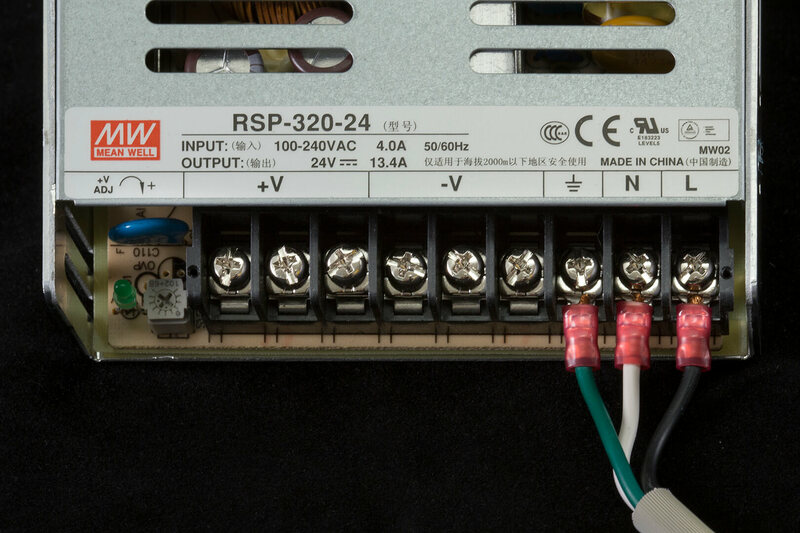 The power supply features a wide input voltage range; no manual selection necessary. 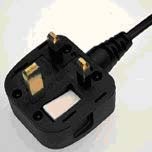 One North-American standard power cord is supplied attached to the power supply, and power cords for the UK, EU, and Italy can be purchased separately. 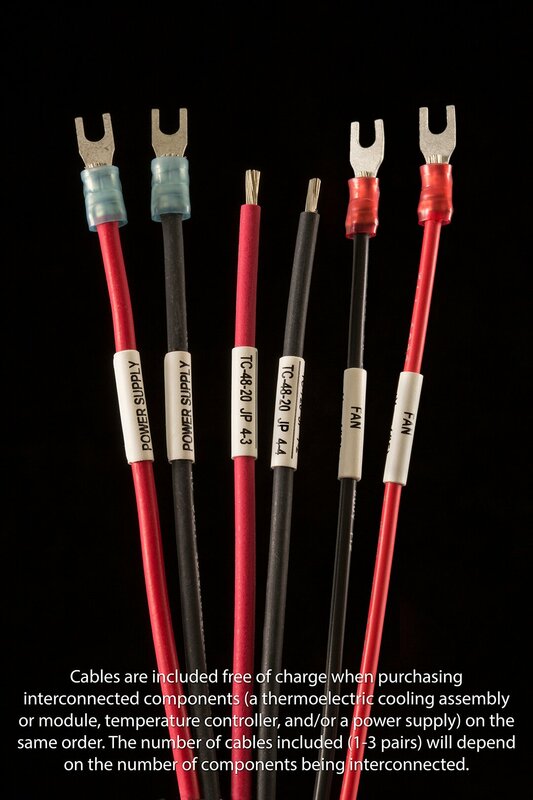 When ordered in conjunction TE Technology coolers and temperature controllers interconnection cables are included free of charge. Maximum ambient: 70 degrees Celsius. 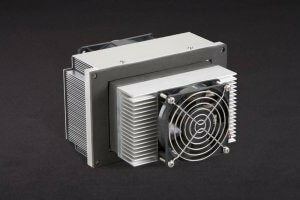 For ambient temperatures above 50 degrees Celsius, derate output current by 2.5% per degree Celsius (50% at 70 degrees Celsius). 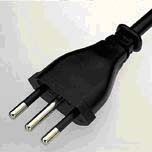 For operation below 100 VAC, derate by 2.09% per volt (75% maximum output at 88 VAC input).